Your employees, customers and prospects are given a digital Reward while being presented with your brand, your message and your offer. Have you ever received a gift card or a coupon code that you could use online? Maybe you won a free download off a soda cap? Perhaps you registered online in exchange for a free sample? All these are examples of a digital promotion in action. Quite simply, a digital promotion consists of a branded plastic card that gives the card holder access to a certain value of goods and services. These goods and services are redeemed by visiting a website online and entering the unique PIN number found on the back of the card. Why Choose Digital Download Solutions for your business? High Perceived Value - Give your customers products that they use and buy on a daily basis. Inexpensive to Distribute - Cards are small and thin, allowing them to be easily mailed, fit in a suitcase or packaged with product. Easy to Redeem - Cardholders go online, follow the instructions and redeem their reward in minutes. Fun, Simple, COOL! - Digital download products are on the cutting edge of promotional marketing. Not only are these products fun, simple to use, easy to reward, but their interactive web features make your brand more relevant to today's consumer. Unlike traditional premiums, Digital Promotions allow you to collect data from your consumers. Collect email addresses to grow your Email Marketing Database. Ask consumers to complete survey questions. Find out about consumer buying habits and opinions of your product line. All information is available via a secure online data feed 24/7. 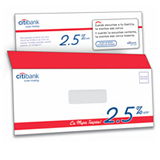 Classic Credit Card Size Cards - 2 1/8" X 3 3/8"
We only use the highest of quality products when filling your order. The Classic CR-80 card fits perfectly into any wallet, allowing your customers to conveniently hold on to your branded piece for much longer than the lifetime of the promotion. Choose from either Plastic or Metal dog tags. These fashion accessories meet the cross-promotional and merchandising needs for a wide variety of clientele. From retail promotions and licensed merchandise to membership passes, prize raffles, digital download song tags and prepaid phone time tags, their sheer versatility will fit your budget while keeping your client's brands, artists/performers, and licensed properties at the forefront of the public's and end user's attention. Seeded download cards are quickly becoming the promotional card industry's answer to "Going Green". Packed with handfuls of the highest quality seeds, your project will get results! More than just recycled, the seeded paper comes from 100% post consumer junk mail! When planted and watered, the paper biodegrades away and the seeds are left to germinate into a garden of growth. Each card contains a hearty mix of annual and perennial wildflowers that are sure to grow across all growing regions. Independent seed testing labs and scores of satisfied customers confirm what people have been saying for years, "These things really grow!" Seeded card printing is only available as 4/1 color process. 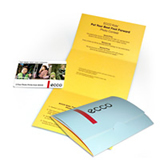 Your promotion can be delivered through email, which cuts out the cost of printing and fulfillment. Each branded email is designed with its own unique Reward Code, customizing the email to each recipient. Live links will take the recipient to your company's branded landing page or directly to the premium download site. Our technology team will fully manage your email blast and provide real time reporting on click-through percentages and web tracking. We offer a full range of mailing and fulfillment services to distribute your promotion. Reward Codes can be printed on just about anything. These codes can be printed on the inside of a package or box, under a bottle cap, on a label, etc. Contact us to explore these unique options! Digital Promotions can also be distributed online! Email: If you have a robust email list, you can distribute your rewards via email. Our team of email marketing experts can help you to develop and blast your message to your consumers. Website: Reward website visitors who register or complete a survey by directing users to an online reward portal where they can receive a gift. Before users receive their free gift, they can be directed to a custom branded landing page that allows your company to interact, educate and up-sell current customers and prospects. What is a Landing Page? A specialized page that visitors are directed to that can capture data, promote products and services all before consumers redeem their free premium. Branded Landing Page: Your customers receive their free digital content by visiting the website shown on the back of the card. A branded web page can be as simple as your company colors and logo, and as interactive as a flash site or web commercial. Survey Landing Page: Cardholders can be required to fill out a survey before redeeming their free gift. This allows you to gather real-time information on customer trends and tastes. Survey sites can also be used to build customer lists for online and offline marketing campaigns. Up-sell Offer Landing Page: Your branded landing page can include up-sell offers that drive cardholders to purchase your product. These offers can include online coupons and event invitations. Add the finishing touch to your download card with additional branded package options. Whether enhancing the marketing real estate of your promotion or just looking for a fun way to distribute your cards , these high-quality, full color packages will increase the value of your downloadable gift. Business - From employee rewards & incentives to customer acquisition & loyalty programs, every business can implement successful promotions. Schools and Universities - Reach the masses and educate students on your school and academic programs. Many of the digital download solutions are perfect for the youth market, increasing their interaction with your school. Research Companies - Increase consumer response rates by attaching a free premium for customers to redeem immediately after completing an online survey. Pharmaceutical - Educate consumers on new pharmaceutical breakthroughs, a new drug or complete an online medical survey by driving traffic to your website. Retailers - Offer an on-pack promotion or a free gift with purchase where consumers are rewarded with Digital Rewards for purchasing specially marked products. You can simply print a Reward Code directly on the packaging. Travel & Tourism - Reward customers for booking travel accommodations with your company or incentives for upgrading their service. Promote your resort or a famous weekend getaway. Human Resource Departments - Power your recruiting initiatives by providing FREE Digital Rewards to potential candidates for a job opportunity or increase your online applicant traffic by driving consumers online to apply before receiving their free premium. Banking - Reward customers with account starter gifts, refer-a-friend programs and registering for e-statements, online banking or bill pay.